Carroll, Lewis. Alice's Adventures in Wonderland. Shakespeare, William. Romeo and Juliet (The illustrated Shakespeare). Bronte, Charlotte. Jane Eyre (Gift Classics). M Forster, E. Howards End. Dickens, Charles. Barnaby Rudge (A Tale of the Riots of 'Eighty). Shakespeare, William. Hamlet (Arden Shakespeare). James, Henry. The Portrait of a Lady (Oxford World's Classics). Charlotte Bronte. Jane Eyre (Arcturus Classics). Collins, Wilkie. The Moonstone (Oxford World's Classics). Hardy, Thomas. Far from the Madding Crowd (Wordsworth Hardback Library). 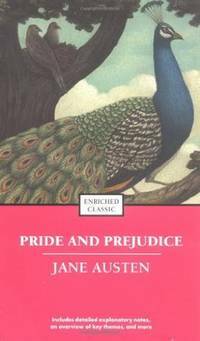 From Pride and Prejudice to Robinson Crusoe, from	Pride and Prejudice to Hamlet, we can help you find the english fiction books you are looking for. As the world's largest independent marketplace for new, used and rare books, you always get the best in service and value when you buy from Biblio.co.uk, and all of your purchases are backed by our return guarantee. Lewis Carroll's Alice's Adventures in Wonderland and its sequel, Through the Looking Glass and What Alice Found There, tell the story of a young girl in a fantasy world filled with peculiar, anthropomorphic creatures. The classic tale of literary nonsense takes the reader on an exploration of logic and absurdities. The Alice books — sometimes combined or referred to with the abbreviated title Alice in Wonderland — have been translated into at least 97 languages with over a hundred different editions. The books have also been adapted numerous times into films (both live action and cartoon), plays, and musicals. Ulysses is a modernist novel by James Joyce. It was first serialized in The Little Review from March 1918 to December 1920 and later published by Shakespeare and Company in 1922. Originally, Joyce conceived of Ulysses as a short story to be included in Dubliners, but decided instead to publish it as a long novel, situated as a sort of sequel to A Portrait of the Artist as a Young Man, picking up Stephen Dedalus’s life over a year later. Ulysses takes place on a single day, June 16, 1904, in Dublin. Within the massive text of 265,000 words (not so “short” anymore, eh? ), divided in 18 episodes, Joyce radically shifts narrative style with each new episode, completely abandoning the previously accepted notions of plot, setting, and characters. The presentation of a fragmented reality through interior perception in Ulysses, often through stream-of-consciousness, is one of many reasons it is a paramount of Modernist literature. Ulysses presents a series of parellels with Homer’s epic poem Odyssey (Ulysses is the Latinized name of Odysseus.) Not only can correspondences be drawn between the main characters of each text — Stephen Dedalus to Telemachus, Leopold Bloom to Odysseus, and Molly Bloom to Penelope, but each of the 18 episodes of Ulysses reflects an adventure from the Odyssey. In 1998, the American publishing firm Modern Library ranked Ulysses first on its list of the 100 best English-language novels of the 20th century. Written in 1925, F. Scott Fitzgerald’s The Great Gatsby is widely considered to be one of the author’s greatest works. Set in New York City and Long Island during the Roaring Twenties, the focus of the story is (of course) its title character, Jay Gatsby, and his unswerving desire to be reunited with Daisy Buchanan, the love he lost five years earlier. However, Nick Carraway, who happens to be both Gatsby’s neighbor and Daisy’s cousin, narrates Gatsby's journey from poverty to wealth, into the arms of his beloved, and eventually to death. The Great Gatsby is undoubtedly one of the greatest American literary documents of the 1920s, the decade for which Fitzgerald himself coined the term “Jazz Age.” However, in writing the book, Fitzgerald was in fact holding up a mirror to the society of which he was a part. In true Modernist fashion, The Great Gatsby addresses the social issues of the period — namely materialism and displaced spirituality — that ultimately led the decline of the era. The novel’s initial sales situation was less than impressive; fewer than 25,000 copies were sold by Fitzgerald’s death in 1940. But The Great Gatsby gained great popularity during WWII as the critical mainstream began to embrace the author’s work. The Armed Services Editions circulated 150,000 copies to troops alone. Today, The Great Gatsby has sold over 25 million copies worldwide, sells an additional 500,000 copies annually, and is Scribner's most popular title. Ranked #2 on the Modern Library’s list of the 100 Best Novels of the 20th Century, the novel is also listed on their Top 100 Novels as well as The Observer’s All-Time 100 Best Novels and Time Magazine’s 100 Best Modern Novels. The Great Gatsby has resulted in a number of adaptations, including Baz Luhrmann’s 2013 major motion picture starring Leonardo DiCaprio, Tobey Maguire, Carey Mulligan, and Joel Edgerton. Wuthering Heights is Emily Brontë's only novel. It was first published in 1847 under the pseudonym Ellis Bell, and a posthumous second edition was edited by her sister Charlotte. The name of the novel comes from the Yorkshire manor on the moors on which the story centers (as an adjective, Wuthering is a Yorkshire word referring to turbulent weather). The full title of Charles Dickens' most famous work is technically A Christmas Carol in Prose, Being a Ghost-Story of Christmas. This novella was published on December 19, 1843, and the first edition run of 6000 copies were sold out by Christmas Eve of that year. The publication of the first edition was fraught with complications, and even though the book was received to positive reviews, profits of the book fell far below Dickens' expectations, and the financial strain caused rifts between Dickens and the original publisher, Chapman & Hall. The Pilgrim's Progress from This World to That Which Is to Come is a Christian allegory written by John Bunyan and published in February, 1678. It is regarded as one of the most significant works of English literature, has been translated into more than 200 languages, and has never been out of print. Treasure Island is an adventure novel by Robert Louis Stevenson. The story was originally serialised in the children's magazine Young Folks under the title The Sea Cook over a period of several months from 1881-82. Traditionally considered a coming-of-age story, Treasure Island is the classic pirate tale, known for its superb atmosphere, character and action. It is one of the most frequently dramatised of all novels. The influence of Treasure Island on popular perception of pirates is vast, including treasure maps with an "X", schooners, the Black Spot, tropical islands, and one-legged seamen with parrots on their shoulders. Nineteen Eighty-Four (1984) by George Orwell has become the definitive dystopian novel of the twentieth century. Originally published in on June 8, 1949 by Secker and Warburg in the United Kingdom, the book follows the main character, Winston Smith, through his disillusionment with totalitarianism and a doomed struggle of resistance. George Orwell is a pen-name, Orwell's real name was Eric Blair. Great Expectations is a novel by Charles Dickens first serialised in All the Year Round from 1 December 1860 to August 1861. It is regarded as one of his greatest and most sophisticated novels, and is one of his most enduringly popular novels; having been adapted for stage and screen over 250 times. Animal Farm is a dystopian novella by George Orwell. Published in England on 17 August 1945, the book reflects events leading up to and during the Stalin era before World War II. Orwell, a democratic socialist and a member of the Independent Labour Party for many years, was a critic of Joseph Stalin and was suspicious of Moscow-directed Stalinism after his experiences with the NKVD during the Spanish Civil War. Geoffrey Chaucer was born in London, the son of a wine-merchant, in about 1342, and as he spent his life in royal government service his career happens to be unusually well documented. By 1357 Chaucer was a page to the wife of Prince Lionel, second son of Edward III, and it was while in the prince's service that Chaucer was ransomed when captured during the English campaign in France in 1359-60. Chaucer's wife Philippa, whom he married c. 1365, was the sister of Katherine Swynford, the mistress (c. 1370) and third wife (1396) of John of Gaunt, Duke of Lancaster, whose first wife Blanche (d. 1368) is commemorated in Chaucer's ealrist major poem, The Book of the Duchess . From 1374 Chaucer worked as controller of customs on wool in the port of London, but between 1366 and 1378 he made a number of trips abroad on official business, including two trips to Italy in 1372-3 and 1378. The influence of Chaucer's encounter with Italian literature is felt in the poems he wrote in the late 1370's and early 1380s – The House of Fame , The Parliament of Fowls and a version of The Knight's Tale – and finds its fullest expression in Troilus and Criseyde . In 1386 Chaucer was member of parliament for Kent, but in the same year he resigned his customs post, although in 1389 he was appointed Clerk of the King's Works (resigning in 1391). After finishing Troilus and his translation into English prose of Boethius' De consolatione philosophiae , Chaucer started his Legend of Good Women . In the 1390s he worked on his most ambitious project, The Canterbury Tales , which remained unfinished at his death. In 1399 Chaucer leased a house in the precincts of Westminster Abbey but died in 1400 and was buried in the Abbey. Author Evelyn Waugh wrote Brideshead Revisited: The Sacred & Profane Memories of Captain Charles Ryder during the handful of months following a minor parachute accident. Loosely based on Waugh’s own experiences as a student at Oxford University, the novel tells the story of Charles Ryder, a young man at Oxford who is captivated by an eccentric classmate named Sebastian Flyte and his very wealthy, Catholic family. The first half of the book is filled with teachings of beauty, booze, and witty conversation; in the second half, every one grows up and things all apart. Told in flashbacks from the days of WWII, Waugh charts the passing of the privileged world he knew in his own youth and vividly recalls the sensuous pleasures that wartime austerities denied him. While many critics believe that Waugh’s intention was to present Catholicism positively and reflect his own reasons for converting to it, many interpret the novel in the opposite light, believing that religion actually brings about the ruin of every character in the story. Brideshead Revisited is ranked 45th on BBC’s “The Big Read” survey and 80th on Modern Library’s “100 Best” English-language novels of the 20th century. It is also included in TIME’s “100 Best Novels” (since 1923) as well as Newsweek’s list of the 100 best books of world literature. Dracula is an 1897 novel by Irish author Bram Stoker, featuring as its primary antagonist the vampire Count Dracula. Dracula has been attributed to many literary genres including vampire literature, horror fiction, the gothic novel and invasion literature. Structurally it is an epistolary novel, that is, told as a series of diary entries and letters. Gulliver's Travels (1726, amended 1735), officially Travels into Several Remote Nations of the World, in Four Parts. By Lemuel Gulliver, First a Surgeon, and then a Captain of several Ships, is a novel by Irish writer and clergyman Jonathan Swift that is both a satire on human nature and a parody of the "travellers' tales" literary sub-genre. It is Swift's best known full-length work, and a classic of English literature. The book became tremendously popular as soon as it was published. Sense and Sensibility is a novel by the English novelist Jane Austen. Published in 1811, it was Austen's first published novel, which she wrote under the pseudonym "A Lady". The story revolves around Elinor and Marianne, two daughters of Mr. Dashwood by his second wife. They have a younger sister, Margaret, and an older half-brother named John. When their father dies, the family estate passes to John, and the Dashwood women are left in reduced circumstances. Published in 1820 by author Sir Walter Scott, Ivanhoe is an influential historical romance novel set in medieval England. Ivanhoe represents a departure from Scott’s other novels, and remains his most well-known work. Scott explores many different themes in Ivanhoe, chief among them the rivalry and tension between the Saxons and Normans, feudal injustice as well as the oppression of England’s Jewish communities at the time. Critical reception was very positive at the time of publication, and Scott is credited with renewing interest in medieval England, leading to the publication of other novels set during the Dark Ages. The novel is also noteworthy for being historically accurate, correctly noting key figures and events of the time. In addition, Ivanhoe is also credited with expanding interest in the mythical Robin Hood, who Scott characterized as a cheerful and noble bandit. Emma, by Jane Austen, is a comic novel about the perils of misconstrued romance. The novel was first published in December 1815. As in her other novels, Austen explores the concerns and difficulties of genteel women living in Georgian-Regency England; she also creates a lively 'comedy of manners' among her characters. Before she began the novel, Austen wrote, "I am going to take a heroine whom no-one but myself will much like. Paradise Lost is an epic poem in blank verse by the 17th-century English poet John Milton. It was originally published in 1667 in ten books. A second edition followed in 1674, redivided into twelve books (in the manner of the division of Virgil's Aeneid) with minor revisions throughout and a note on the versification. The poem concerns the Christian story of the Fall of Man: the temptation of Adam and Eve by the fallen angel Satan and their expulsion from the Garden of Eden. The Picture of Dorian Gray is the only published novel by Oscar Wilde, appearing as the lead story in Lippincott's Monthly Magazine on 20 June 1890. Wilde later revised this edition, making several alterations, and adding new chapters; the amended version was published by Ward, Lock, and Company in April 1891. The story is often mistitled The Portrait of Dorian Gray. The novel tells of a young man named Dorian Gray, the subject of a painting by artist Basil Hallward. All the King's Men is a novel by Robert Penn Warren, first published in 1946. The novel's title is drawn from the nursery rhyme Humpty Dumpty. In 1947 Warren won the Pulitzer Prize for All the King's Men. It was adapted for film in 1949 and 2006; the 1949 version won the Academy Award for Best Picture. 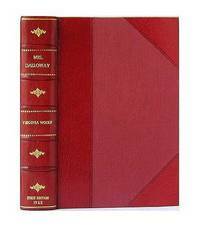 Robinson Crusoe is a novel by Daniel Defoe. It was first published in 1719, and is sometimes considered to be the first novel in English. The book, although based on the true story a Scotsman, Alexander Selkirk, is a fictional autobiography of the title character, a castaway who spends 28 years on a remote tropical island near Venezuela, encountering Native Americans, captives, and mutineers before being rescued. "The greatest object in the universe, says a certain philosopher, is a good man struggling with adversity." When Dr Primrose loses his fortune in a disastrous investment, his idyllic life in the country is shattered and he is forced to move with his wife and six children to an impoverished living on the estate of Squire Thornhill. Taking to the road in pursuit of his daughter, who has been seduced by the rakish Squire, the beleaguered Primrose becomes embroiled in a series of misadventures – encountering his long-lost son in a travelling theatre company and even spending time in a debtor’s prison. Yet Primrose, though hampered by his unworldliness and pride, is sustained by his unwavering religious faith. In The Vicar of Wakefield , Goldsmith gently mocks many of the literary conventions of his day – from pastoral and romance to the picaresque – infusing his story of a hapless clergyman with warm humour and amiable social satire. In his introduction, Stephen Coote discusses Goldsmith’s eventful life, the literary devices used in the novel, and its central themes of Christianity, justice and the family. This edition also includes a bibliography and notes. THOMAS HARDY was born on June 2, 1840. His father was a stonemason. He was brought up near Dorchester and trained as an architect. In 1868 his work took him to St Juliot's church in Cornwall where he met his wife-to-be, Emma. His first novel, The Poor Man and the Lady , was rejected by publishers but Desperate Remedies was published in 1871 and this was rapidly followed by Under the Greenwood Tree (1872), A Pair of Blue Eyes (1873) and Far from the Madding Crowd (1874). He also wrote many other novels, poems and short stories. Tess of the D'Urbervilles was published in 1891. His final novel was Jude the Obscure (1895). Hardy was awarded the Order of Merit in 1920 and the gold medal of the Royal Society of Literature in 1912. His wife died in 1912 and he later married his secretary. Thomas Hardy died January 11, 1928.